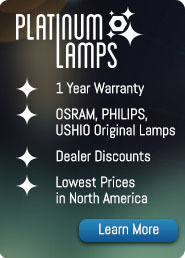 Projector Lamp Experts provides a full 60-day warranty on all lamps for all brands for faults due to defective materials or workmanship. 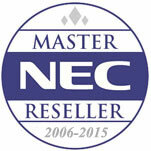 The warranty period commences from the date of shipment and lasts for 60 days. Rather than wait for the manufacturer to process the return, we will do everything we can to get you a new working lamp quickly, to minimize the time you are without a functioning projector. All lamps shipped back to Projector Lamp Experts must be returned in their original, undamaged boxes without any markings, and must be shipped inside an additional box with appropriate packing foam or bubble wrap to prevent damage during shipment. A 25% restocking charge will be levied on these returns which we reserve the right to increase if the lamp is not returned to us in unopened condition. Please note that Projector Lamp Experts cannot accept lamp returns which are as a result of a problem with the projector or television, and not the lamp itself. All product returns must first be authorized by Projector Lamp Experts within 60 days of the original invoice date and a Return Merchandise Authorization (R.M.A.) number must be obtained before shipping the lamp back to us. Refunds for purchases made by credit card will be issued as a credit to that same account after inspection of returned products.. Please complete the RMA form below and await confirmation from a representative before sending the lamp. Please note: This form is not an authorization to return the lamp to Projector Lamp Experts. Please wait for confirmation prior to sending the lamp. Please also note that customers returning lamps have 30 days from the date the returns number is issued to send the item back to Projector Lamp Experts - unfortunately after this period the return cannot be accepted.